I want to say thanks to all the writers, authors and admins at Kindle Boards for having me and author Barbara Elsborg for getting me there! We will work out all the details, name your own price and it's yours. I have the super sized high resolution versions ready to go. I own the copyrights to ALL the images so you may edit the image to your liking for the perfect cover. Let me know! "Heather, when I look at these 3 shows I will be competing in the first thing I have to say is what amazing company to be in. The talent at all 3 is quite remarkable. Being my age what it is I have the mind set to have so much appreciation for all of those in the NPC who put these amazing events together. For all their time and efforts that they put into these shows to make them all so successful is something to be so very thankful for. If it weren't for people in the NPC like Bev Francis and Big Mike Feulner, just to name a few, all of us athletes wouldn't have these great platforms to showcase out talents. It has been an honor competing with the NPC this year; I have 100% for everybody in this amazing organization across the board: every athlete that steps on stage for their efforts and dedication, my fellow Physique competitors and all the judges. Everybody in the NPC has always been so very nice to me that win, lose or draw the entire experience has been top notch. If I really have to analyze these 3 contests, the first, Team Universe....I am just happy to be part of it with so many great Men's Physique competitors. I will try my best to make it respectable :) My friend Anton Antipov has been winning like crazy so maybe he will give me a few pieces of advice that I am more than willing to listen to (this is an ego free zone my friends, I leave that at the door but I never had one anyway but you all get the point). The last show, the NPC USA's Men's Physique Division, they tell me it consists of the 1st and 2nd place finishers only in each Men's Physique contest only. I placed 1st in the NPC Rhode Island Men's Physique (under 5'10" Division)....my real height is 5'9" so I qualified for this show. I never thought I would be going to this show. Hell, I will take the 1st place finish and run before somebody steals it from me, ha ha ha! Just being on stage at the Men's Physique USA's is a victory for me my friends, what amazing company to be in there. So to sum up the USA's, just going is something to be proud of and I will do my best to make it as respectable as I can Heather. I touched upon the 1st and last show before the 2nd one as my goals for these 2 are basically the same...make it respectable. Now the 2nd show, the NPC Physique Masters in Pittsburgh. It is being put on as I am told by a guy named Gary Udit. 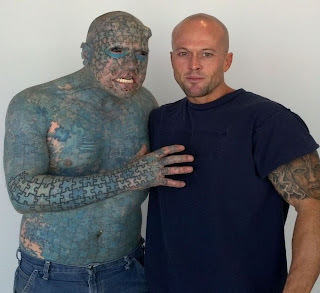 I have never had the privilege of meeting hum but from what I have read about him I would be honored. Definitely a man who has my 100% respect. Seems like a great show, Master's Men's Physique Division 35-40 years old. Heather, I might actually have a good chance at placing in this one. That would be something! She was giving me that look kind of grinning at me and I knew what she was thinking. Yeah, ok, me....1st place? Girl, if I won 1st place in this division I would probably hit the floor and need to be carted off the stage on a stretcher then when I came too pinch me and say it's not a dream. You get my point, I would be the most honored winner in the history of the sport! I will do my best Heather and I can live with that." Last year, those who know me know that I should never have competed. I tore my right hamstring almost completely off the bone at 4 weeks before the show and was unable to train virtually at all from that point on. No cardio and exercise but I still had the desire for the love of the sport to compete. This year has been different, I am healthy and injury free and have a great attitude. I do feel a bit tighter and ready for sure. I thank God for getting me back on track and watching over me. Below (top) is a photo from last year on stage and right below that is a photo from this year. I want to thank everybody for all the love and support during my training this year, love all you guys (and girls). Training for my upcoming contests has been going fairly well thus far but yesterday I suffered another migraine that had me on the sidelines so to speak. No idea what triggers these damn things but I wish they would stop coming after me. I get this wild and blurry flashy light vision which tells me one is coming on and if I don't have any medication on hand I am done. Feel a bit better today, just a regular headache as it takes a good 2-3 days to fully recover from one of these. Thanks everybody for the support, much love!!!!!! Just wanted to thank the Big Dog for the text I received just a short while ago. The Big Dog added some images of my photo shoot in New Jersey back in May to YouTube. Very cool, thanks so much! Also, a special thanks personally from me to Anton Antipov. 3 1st place and overall NPC Men's Physique titles in a row and a great friend of mine too :) Stay cool bro, much respect always! Just wanted to say again what a great time I had last week and here is a photo from that shoot in Calvin Klein. Thanks everybody for all the love and support! I just wanted to give credit where credit is due. 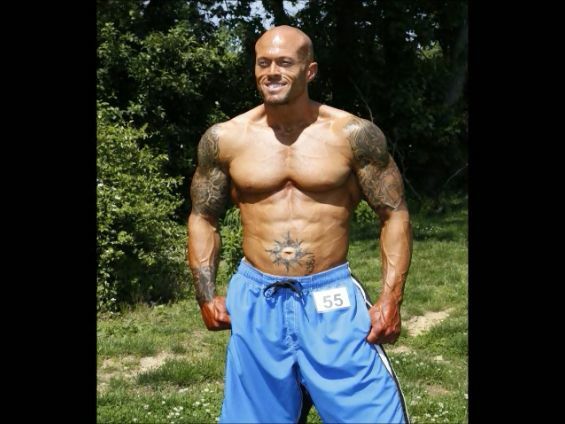 I competed this past June 9th in the NPC Rhode Island Championships Men's Physique Division at Twin Rivers Casino. Below are a couple on stage photos. I am next to Ashwin "Cash" Fernando. Sometimes photos just don't do people justice. If you see Cash in person he is ripped to shreds and in tip top physical shape. It was an honor being on stage with him for sure. I got lucky as they placed me 1st and him 2nd in the contest BUT Cash finished ahead of me at the Jay Cutler Classic Men's Physique last month in Boston. All good, much respect for Cash. Thanks man and good luck with everything you do. Thank you RxMuscle for the images. 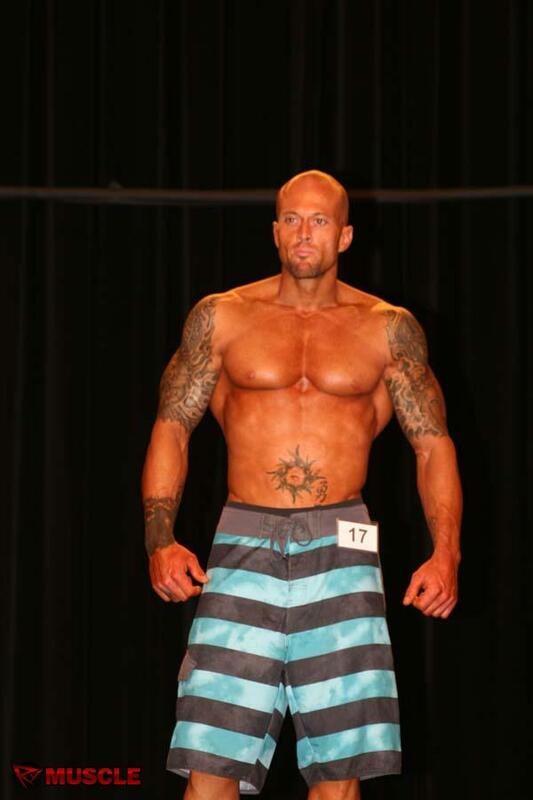 I would just like to thank my friend the Big Dog for sending this Rx Muscle on stage competition image of me from this past weekend at the NPC Rhode Island. Placing 1st in my Men's Physique class was a real honor and I can't thank the people of the NPC enough for being so nice to me at the shows I have competed in this year. A special thanks to Mike Feulner for putting together such a great event. Awesome! I would just like to thank everybody from the 2012 NPC Rhode Island one more time, such great event! 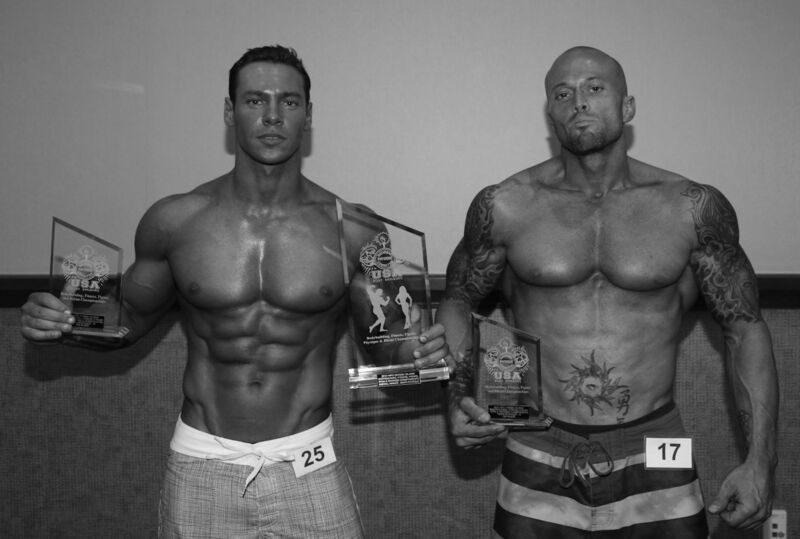 It was an honor winning the Men’s Physique under 5’10” class capped off getting photographed with Branch Warren. I just wanted to say what an honor it was to win the 2012 NPC Rhode Island State Men’s Physique competition this past night on June 9th. I took 1st place in the under 5’10” class. There was some great talent in my group and I have nothing but the utmost respect for these guys. I would like to personally thank the NPC organization and everybody who helped put this event together. Each and every time I have competed at an NPC event the people who have ran each one have all been so very nice to me that truly I can’t say enough great things about them all. One of the head guys, Mike Feulner, very nice to me every time I have communicated with him…..a real professional and a person I have great respect for. I met and became friends with some amazing athletes who competed at this show. I would like to say for the record I had the privilege of meeting Bob Cicherillo who was the MC for the event. Great guy, very down to earth super cool! I also met Branch Warren who was very friendly. Branch is an amazing athlete and a top notch human being. An all-around great night! Here are a few photos from the show and from the photo shoot I had earlier in the day. I would like to personally congratulate my friend Anton Antipov for winning the Men’s Physique overall title. Squaring off against Anton at center stage for the overall was an honor, this guy is a real talent and a great human being as well.